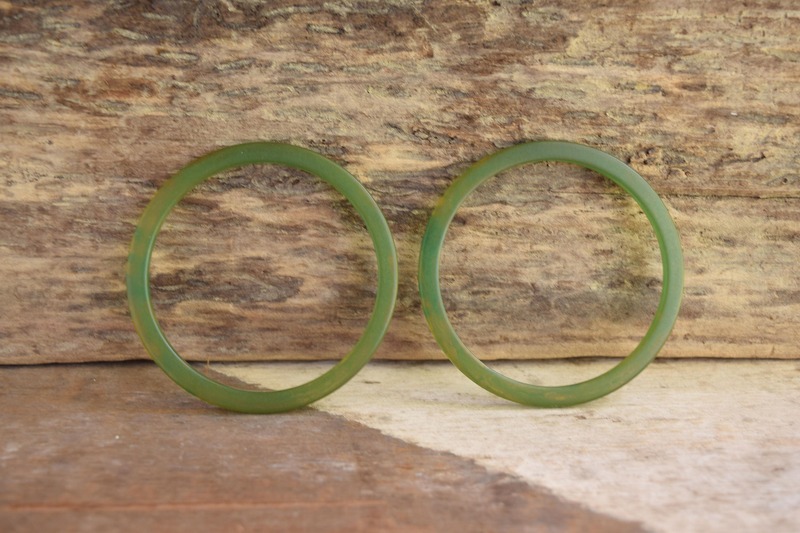 Enhance your stack with these semi-translucent green swirled bakelite spacers. 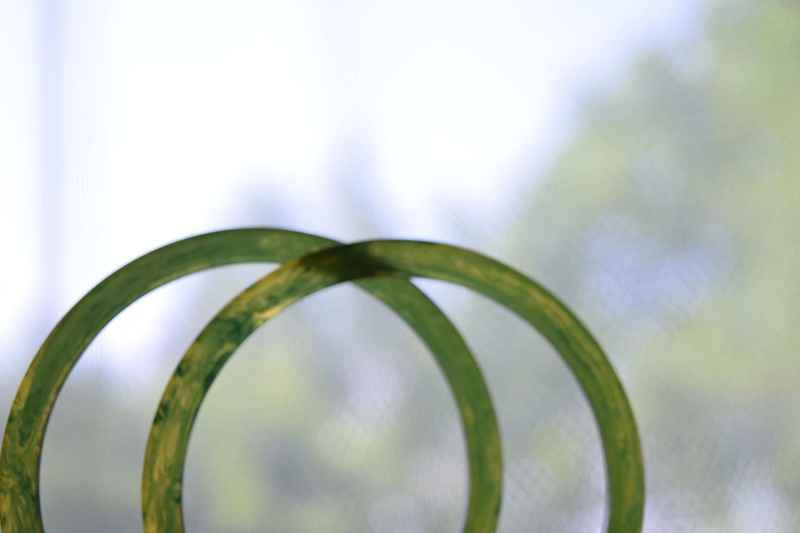 This pair feature wonderful swirls and has tested Bakelite positive with simichrome. 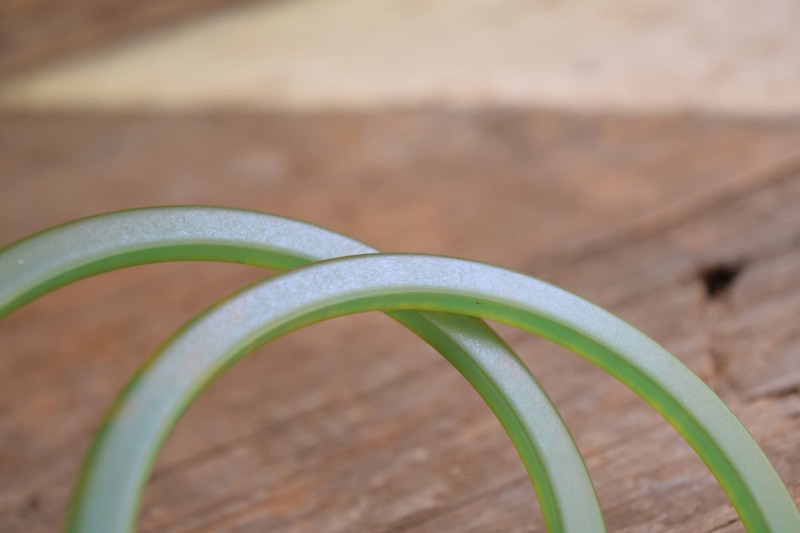 They do have wear, giving them a near matte finish, but with some elbow grease and polish they could someday shine. Condition: Fair to Good Vintage condition. 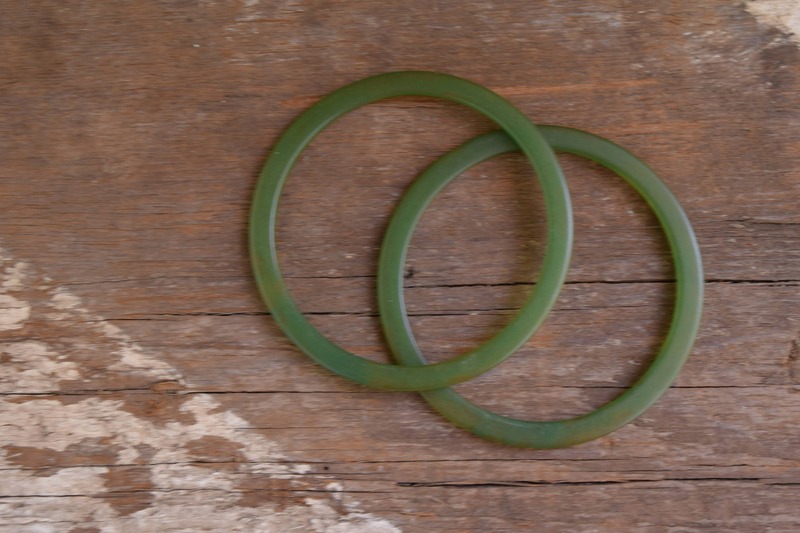 These Bakelite spacers have no cracks but are heavily scuffed from wear. 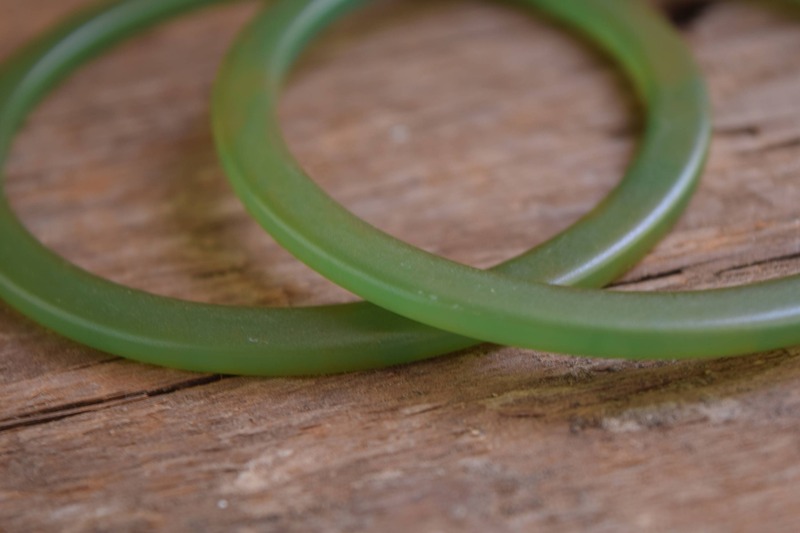 We recommend wearing them as is, or giving them a vigorous polish. 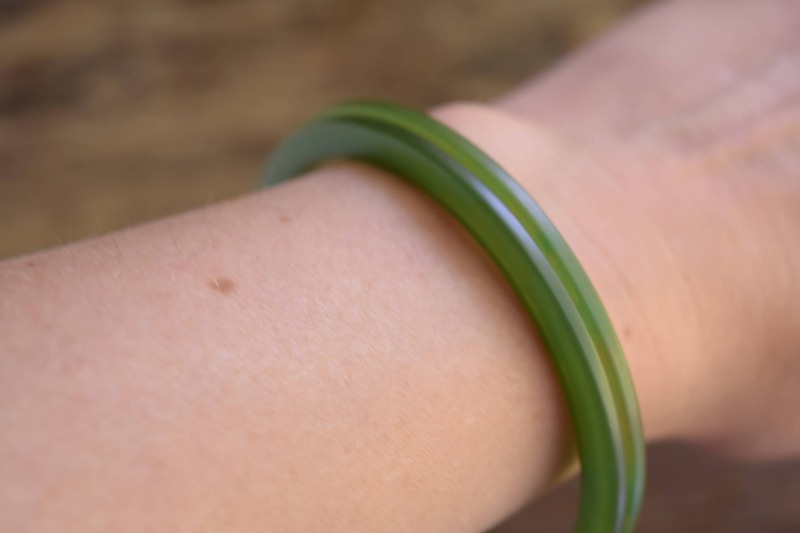 Please know that depending on your computer or device screen, colors can vary and may not reflect the true color of these bangle bracelets.